Judging by some of the latest designs from smaller companies, it appears that Lay's are allowed to design for the whole Chips & Crisps industry. As seen with so many, there is a giant logo, a photographic image of a few Chips, and the flavoring or seasoning - In this case, half a lime and a sliced pepper. The advantage Lay's have over their rivals is of course the most recognisable brand on the market. Even their overseas companies have the same logo, but with their brand name on the red banner. Lay's could actually have a plain, flavor color coded bag with the name of the flavor and their logo, and sell no fewer bags of Chips. However, this is far from innovative packaging. It is actually as basic as it can be while still remaining modern and evocative. Fortunately, not all smaller companies take Lay's lead. It is therefore to them, that we have to look for exciting and interesting bag designs. If these Chips were filling out a dating form they might say, “Thin and crispy with mulchy tendencies." Although Paprika is one of the world’s most famous spices, it is more a mild seasoning or flavour enhancer than a flavour unto itself. 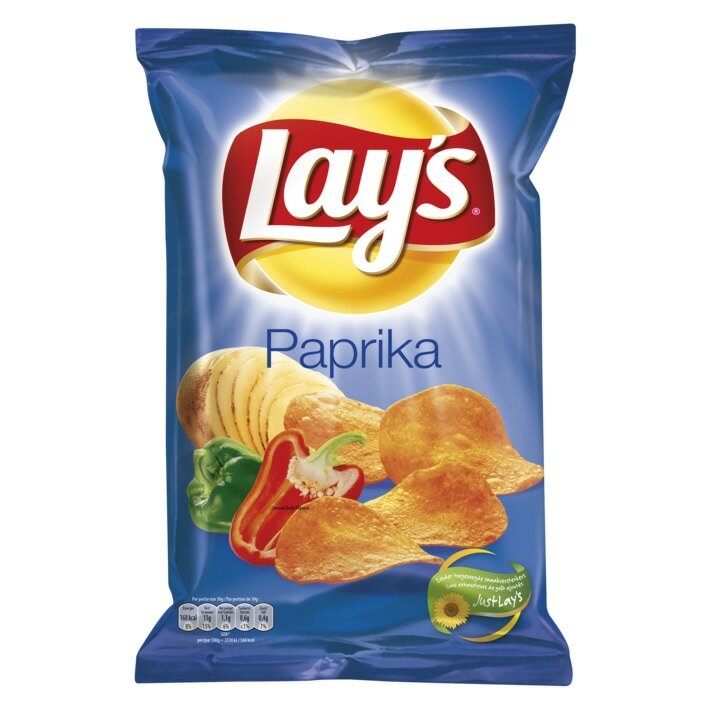 Although it is therefore obviously popular in Eastern Europe (Hungary is very much the home of Paprika), it does not really do the Chips flavor list much of a service. So, yes, these tasted of Paprika, but we would ask, why?